Destructive testing is similar in concept to smashing things, if not identical. And doing this on occasion can reveal to you what things are made of, including pearls and gemstones! Lately I have breaking freshwater pearls. The reason is because I teach pearl carving around the country and need gems that are 100 percent nacre. That’s the iridescent coating that gives them their depth and glow. When I stock up on strands, I only buy from one or two trusted vendors. I ask for pearls that are pure nacre. Then I take the strands home and break one of the beads. If I have any doubts about what they have sold me, I can always go back and ask them about it. Use clear plastic tape to secure a pearl to a bench block. That way you can see the gem. Place the block on a sturdy surface, such as a stump. 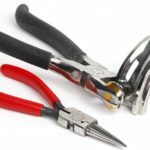 Put on safety glasses and strike the pearl with a fairly light hammer. This may take a couple blows. Top row: 1) This square pearl was grown over mother of pearl, which is common when it comes to fancy shapes. 2) This large, round freshwater pearl actually consisted of a thin shell of nacre over a bead made out of what looked like cuttlefish bone. Ick. 3) This beautiful oval freshwater pearl was solid nacre, and a bargain. The strand was $36. Bottom: When this large freshwater pearl was ground away, it revealed a solid, gemmy nacre. This strand cost $150. 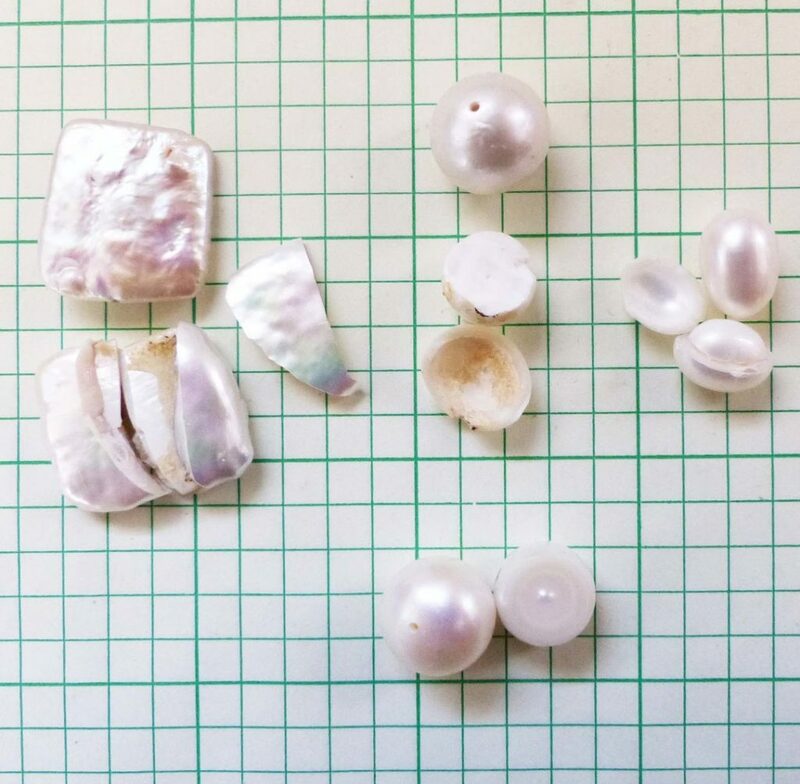 Learn how to make more pearl jewelry with these resources!